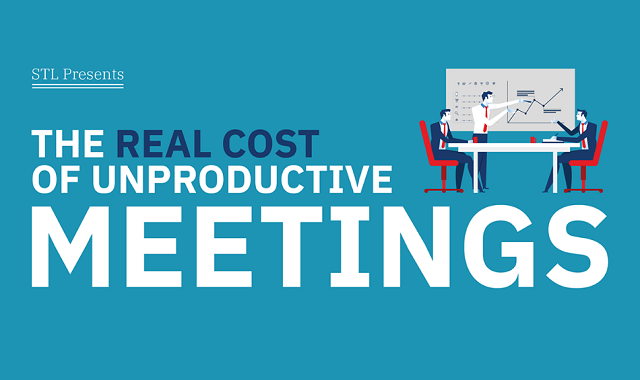 The Real Cost of Unproductive Meetings #infographic ~ Visualistan '+g+"
Weather you're a freelancer, a CEO or an entry-level employee, you're almost certainly familiar with the business meeting. The average employee spends hundreds of hours in meetings every year, and far too often, these meetings achieve very little. So, just how much are these unproductive meetings costing? Stl decided to find out, pulling together some of the most recent research into modern meetings to discover the real cost of unproductive meetings.